The Psychology of Motivation – How To Achieve Peak Performance On Command is the optimal guide that will help you identify whatever it is that’s stalling you from achieving what you want in life and giving you that bit of mental boost to help get you going. Without a positive mindset and motivation, getting anywhere is difficult. Nothing was ever achieved by waiting, stalling or hoping for change. The onus is on us to make that change. We all have our struggles in life. Some more than others. To break through the mental barriers can be a challenge if we’re not accustomed to change or progress. You’d be surprised how many people are dragging their feet through life, doing the minimum with not a whole lot of promise for their future. This isn’t about keeping up with the Joneses. It’s about what you yourself want to strive for and what you’re willing to do or sacrifice to make that change and achieve those goals. What many people don’t understand is that absolutely everyone is capable of doing anything. It all starts between your ears. 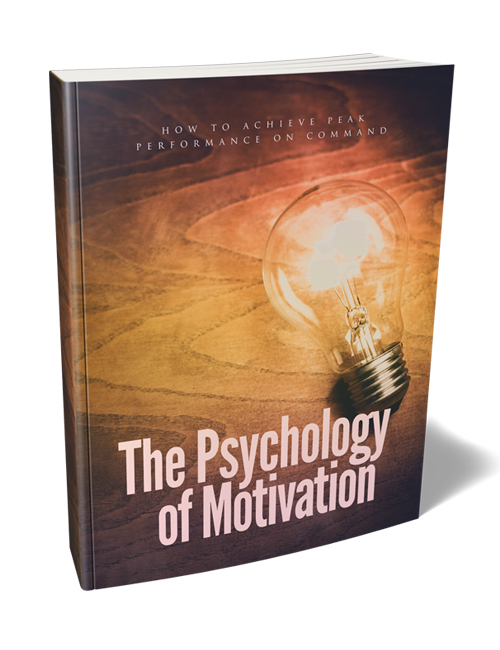 In this guide which complements The Psychology Of Motivation video course, you’ll understand just how incredibly powerful motivation is. You’ll learn about the five pillars that will sustain your motivation. You’ll also get a solid understanding of the challenges that people face and why they struggle, how to paint a solid picture of what you want to achieve, how you can motivate yourself basically on command, how to keep yourself motivated and much more. The key thing is about being focused on what’s practical and realistic rather than dreaming about something so far out of the ordinary. This course is definitely a must-download if you’re looking to add some fuel on your lacking motivation and make some much needed changes in your life for the better. Get it now. Package includes a professional sales-letter and ready-to-go sales materials.